Fashion UK Sets To Release New Gummibär Apparel - Gummybear International Inc.
UK fashion design firm, Fashion UK, has recently picked up the Gummibär brand for new lines of apparel that are set for UK release in the near future. 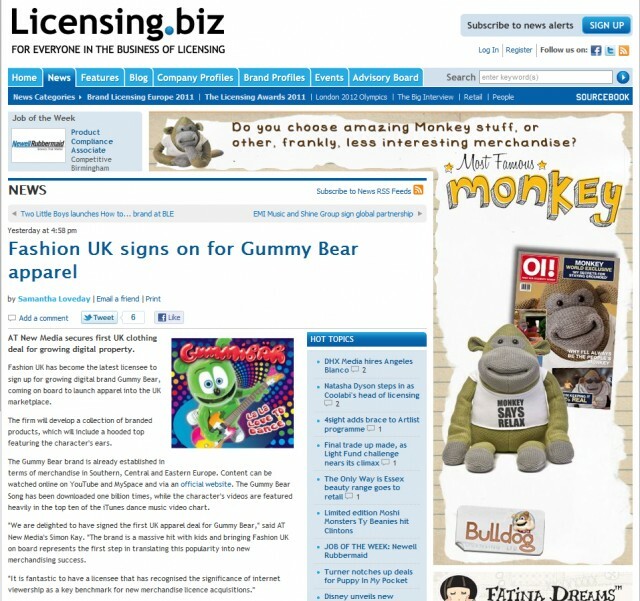 Fashion UK will develop new and unique Gummibär themed clothing including a special hooded top with Gummibär ears. list of websites Currently, Gummibär merchandise is already present in southern, eastern, and central Europe. Companies such as Mcdonald’s in Germany, Greek food manufacturer Ifantis, and Turkish telephone giant BN Telecom have also used the Gummibär in past and present marketing.